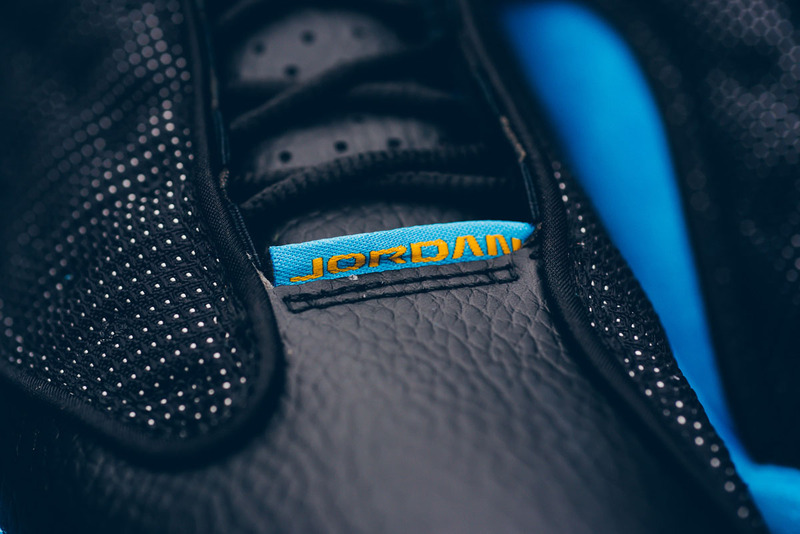 Jordan Brand is officially in the business of releasing some of its old Player Exclusive sneakers. 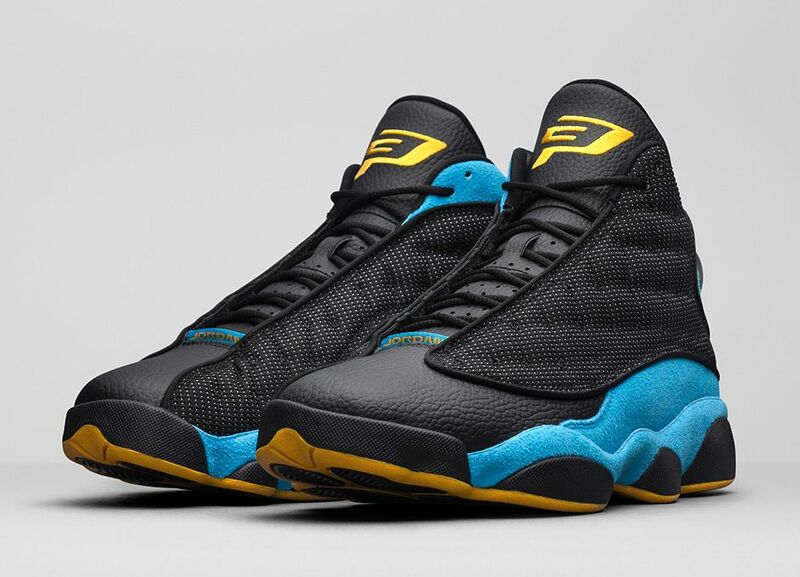 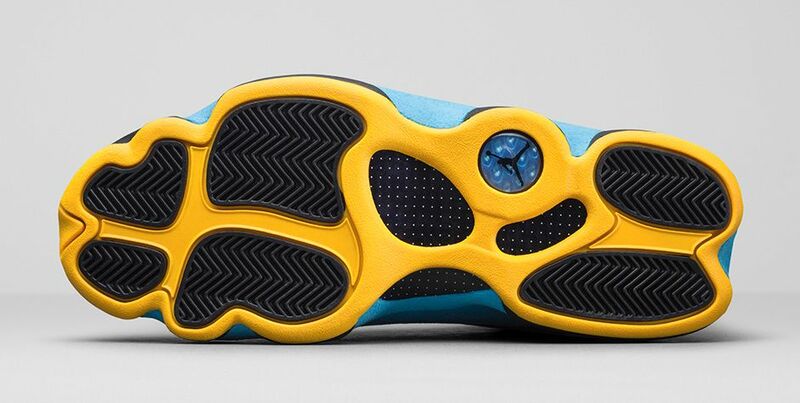 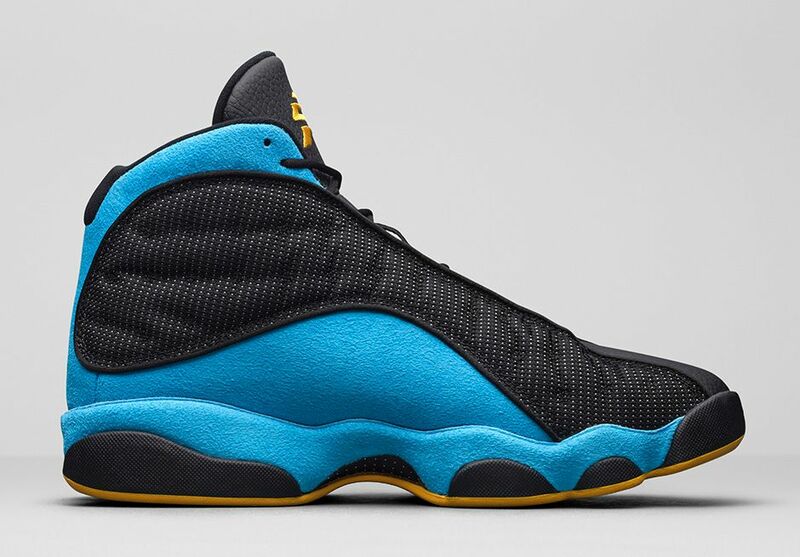 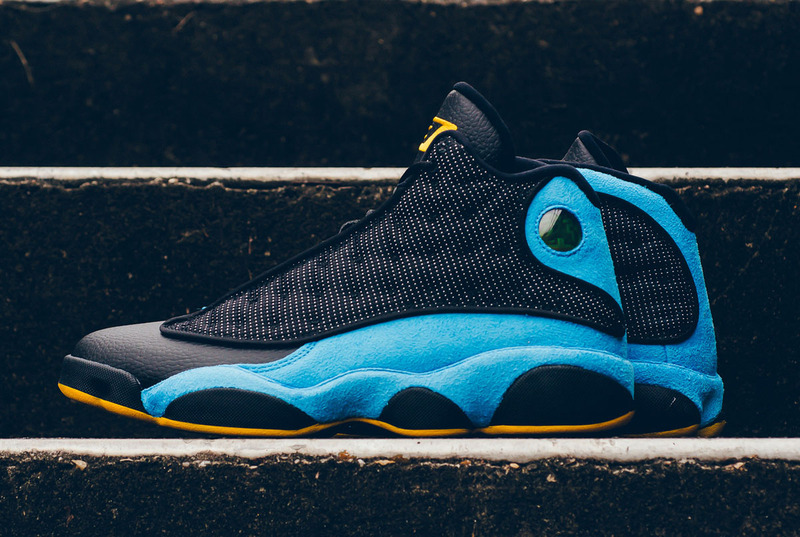 First up is Chris Paul's Air Jordan 13 PE from his days with the New Orleans Hornets. 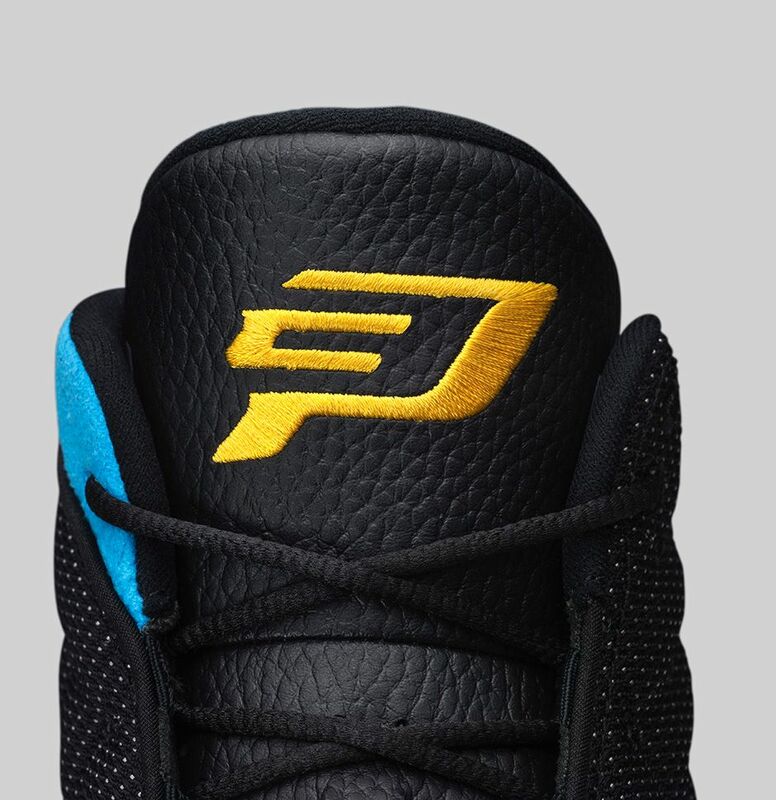 Since then, he's been a Laker (for 5 minutes) and a Clipper, while the New Orleans franchise is now known as the Pelicans and the Hornets name is back in Charlotte. 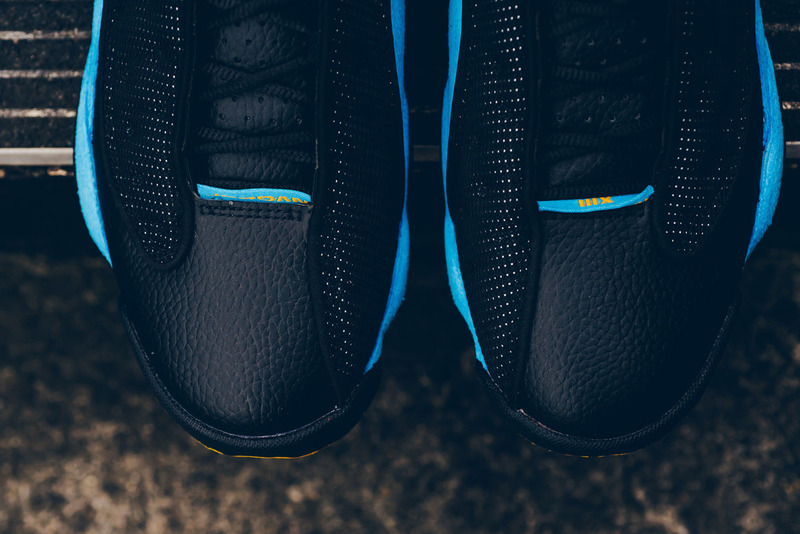 What hasn't changed is how much sneakerheads want to add this pair to their collections, which will be possible next weekend. 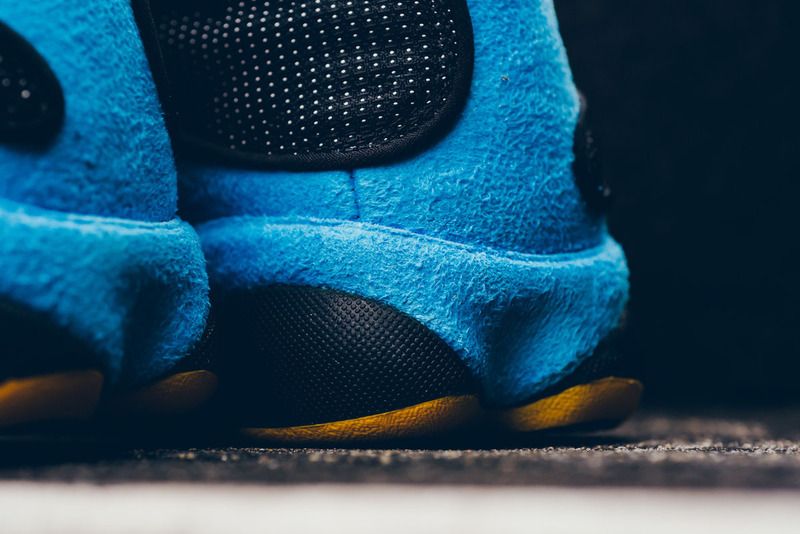 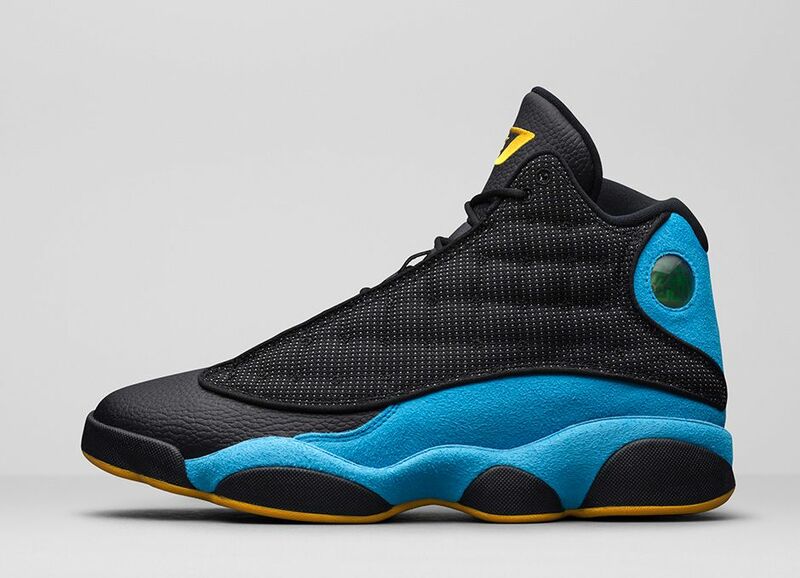 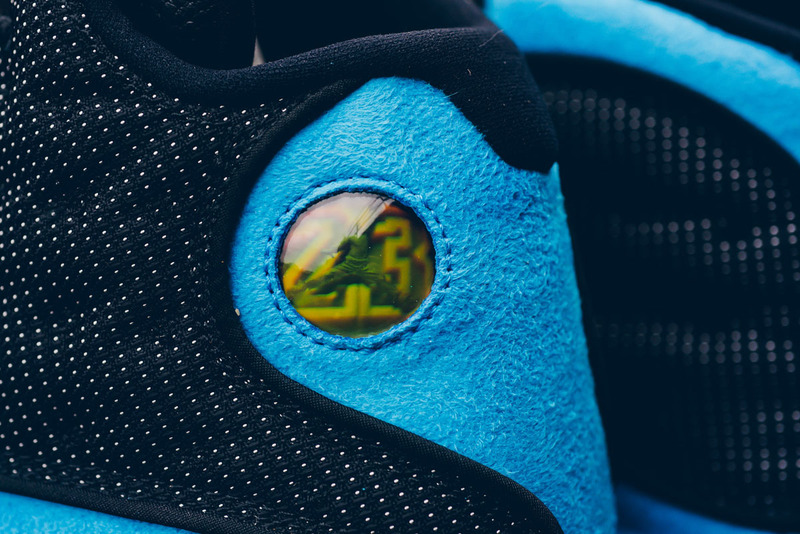 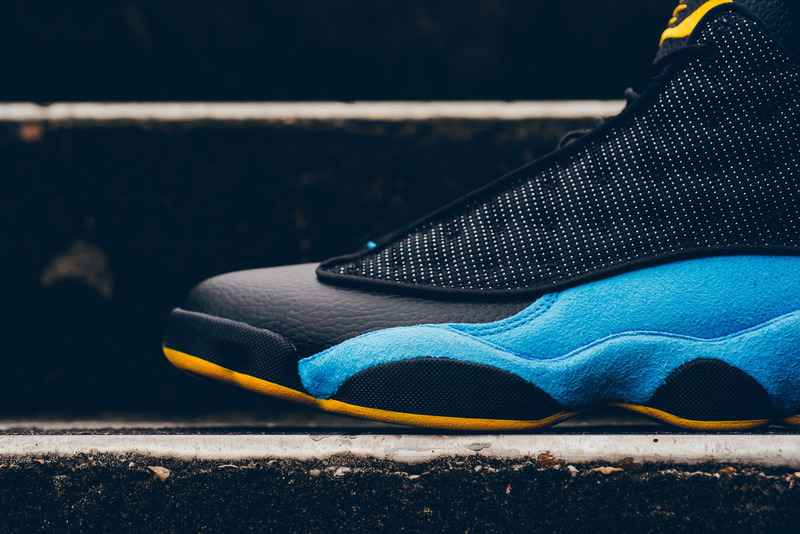 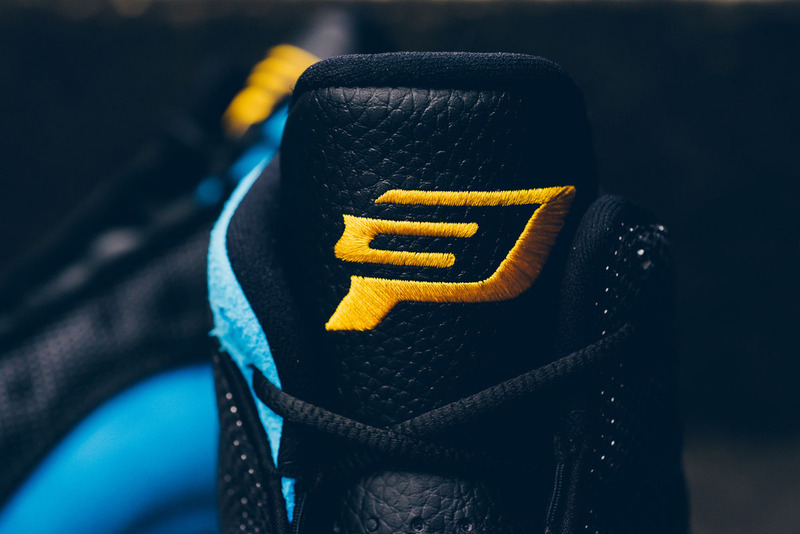 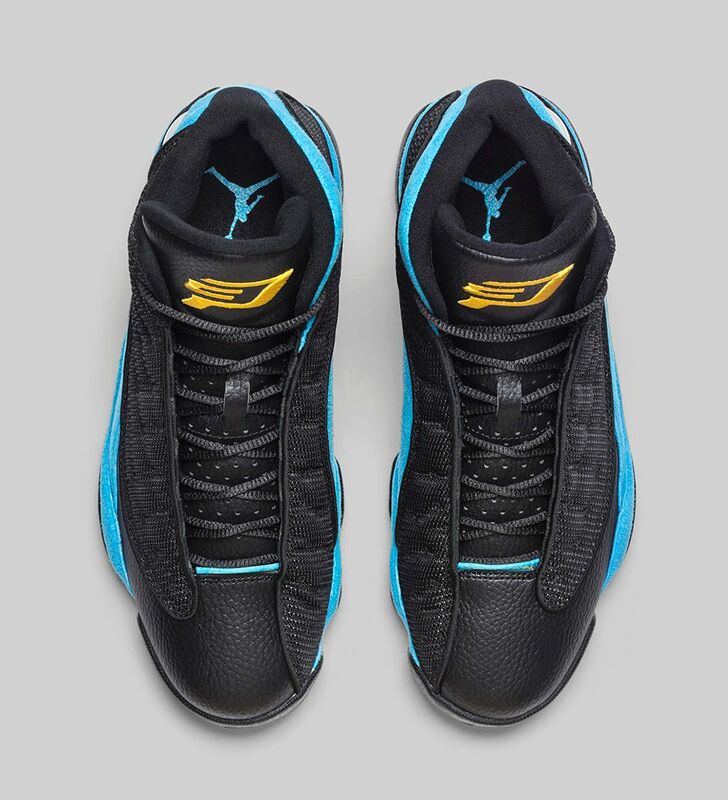 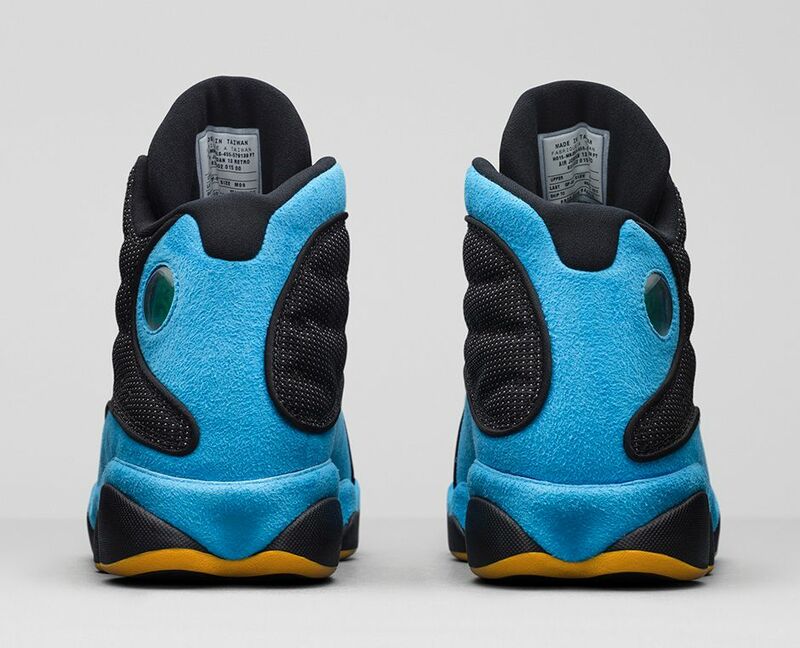 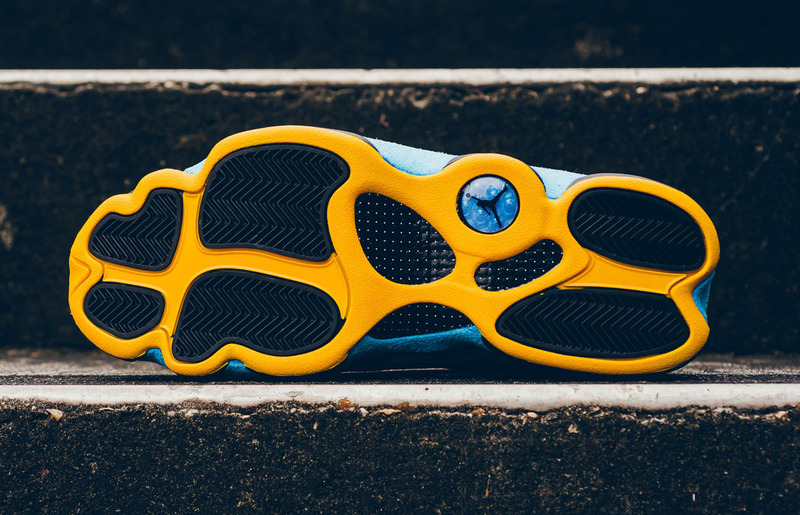 The "CP3" Air Jordan 13 will release in black and orion blue, with custom sunstone logo hits next Saturday, Nov. 7 for $200 at nike.com (10:00 a.m. EST) and select Jordan retailers. 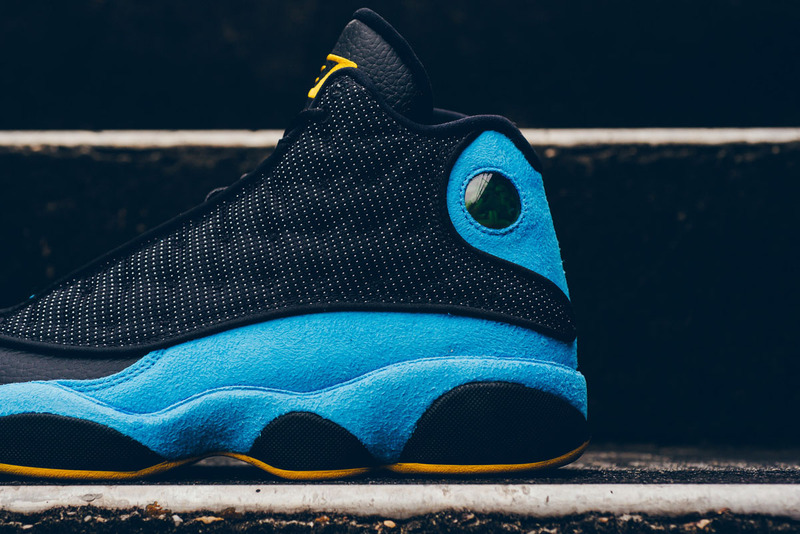 UPDATE 11/4: New beauty shots of the Air Jordan 13 CP3 PE via Sneaker Politics, who will have the shoe in-store this Saturday.